There once was PanAm - the sole American Airlines that landed on almost every destination in the world. But as it happens with ultra big enterprises that these crumble one day - so did Pan Am one day. 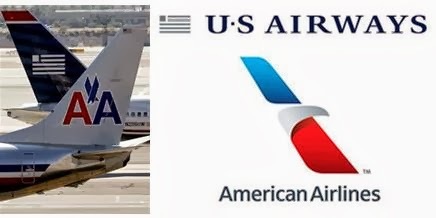 Then American Airlines and US Airways became the leading airlines of the USA. Now it has been decided that these two airlines be merged together to become world's biggest airline of the world. Would this merged alliance one day collapse too, like Pan Am - only time will tell. A judge refused to block a merger between American Airlines and US Airways on Saturday evening, saying a bankruptcy judge correctly rejected arguments made by a lawyer for some consumers. It may be added that earlier a San Francisco attorney Joseph Alioto argued that the deal would harm fliers because it would result in less competition and higher prices.